Stock Low : 601 items left. 100% suede. Cotton/polyester/elastane rib. 100% polyester lining. 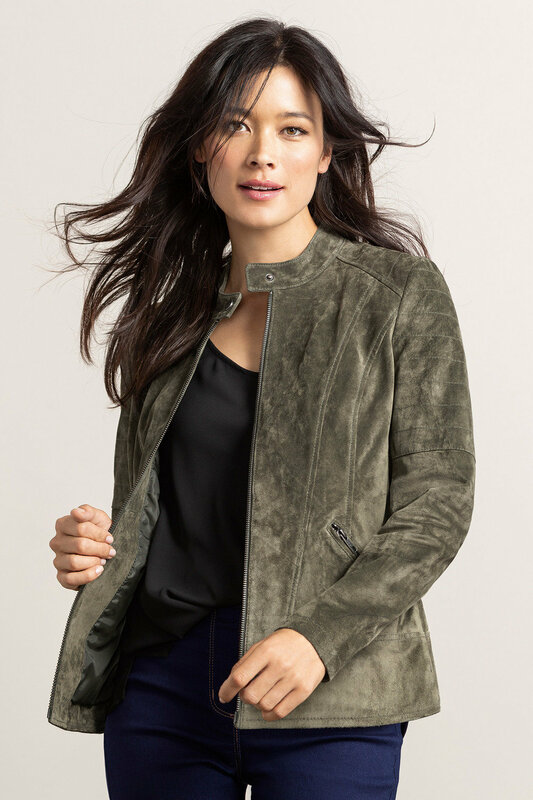 An essential item for absolutely every wardrobe, the Capture Suede Collarless Jacket comes in three must-have colours and features a figure-flattering cut. 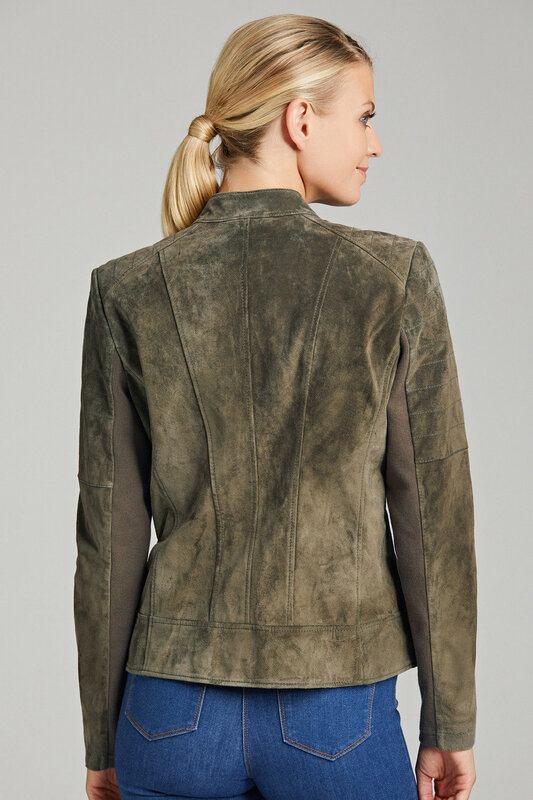 With a collarless design and zip-through front, this gorgeously chic piece is crafted from quality suede and is fully lined. Front zip pockets allow this jacket to be as practical as it is comfy and stylish. We can’t think of an occasion we don’t want to wear this jacket! For a timeless look, pair with a soft t-shirt or cami, loosely tucked into dark skinny trousers.